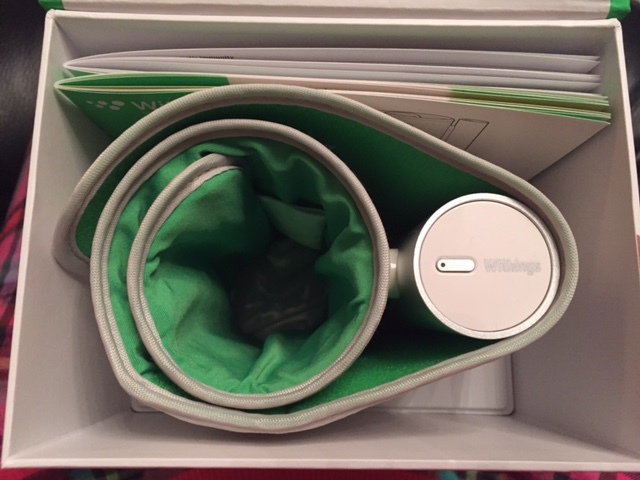 Me and my gadgets again – I got this little wireless gadget from Santa: the Withings Blood Pressure monitor. 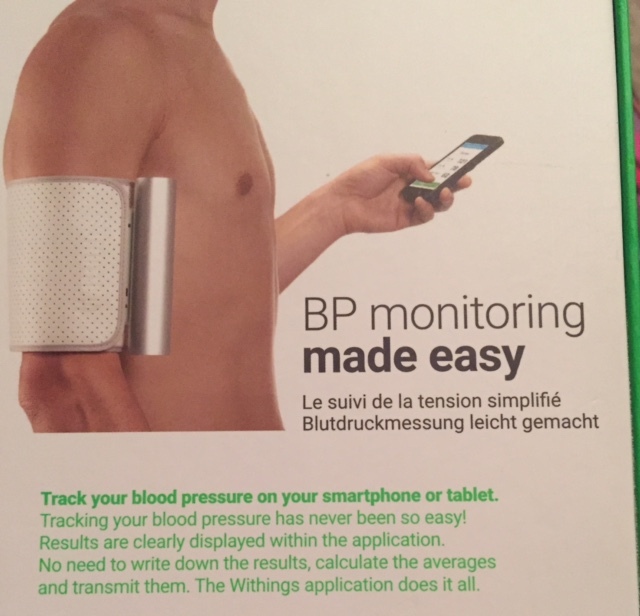 Blood pressure monitoring made easy – you put it on your arm, press a button, it accesses your withings app on your phone, and it takes your blood pressure reading – wirelessly sending it to your app. 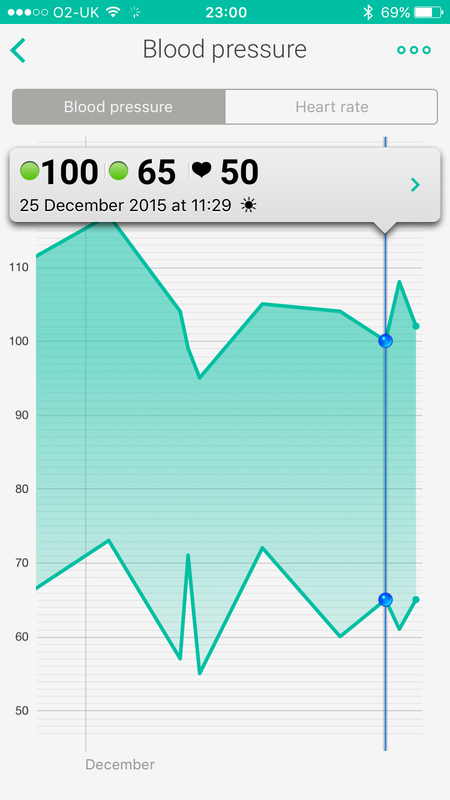 Mine is a little low just now, it’s been going under 100/60 … not much I can do about it though. Just keep drinking plenty water and regular coffees and adding salt. And getting up slowly / carefully. Good thing about the machine is you can easily record different measures for other people, without it being added to your withings too (either as registered withings users, or anonymous users).